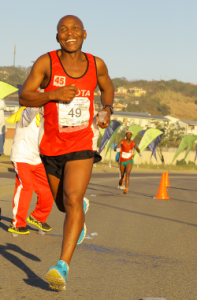 Now in its eight year, the annual eThekwini Township 2 Township Marathon continues to attract high calibre athletes to participate in the 42km race between uMlazi and KwaMashu, two of KwaZulu Natal's oldest and largest townships. Having seen the likes of Comrades Marathon winners like Stephen Muzhingi and Bongumusa Mthembu participate and win the race in previous years. 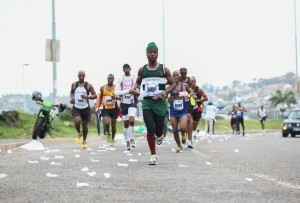 The full marathon will start at 05h30am at Princess Magogo Stadium in Kwamashu and finish at 11:30am at King Zwelithni Stadium in uMlazi, giving runners participating in the full marathon six hours to complete the full 42.2km Township 2 Township Marathon. Those athletes who aim to qualify for the Two Oceans and the Comrades marathons, will have to complete the race within a five-hour time limit, before the qualifying cut-off time of 10:30am. The half marathon will start at 05:30am at the Chesterville Sasol garage and finish at 9:00am at King Zwelithin Stadium in KwaMashu. Race entries are now open, online entries close on the 26th September 2017 and manual entries closes on 30 September 2017. The aim of the Township 2 Township Marathon is to preserve this legacy by reuniting the communities through community spectator involvement, assisting in promoting the three townships and the history behind their establishment and in turn promoting athletics as a sport in communities. 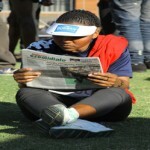 The Township 2 Township Marathon seeks to promote the three townships of uMlazi, KwaMashu and Chesterville as well as to develop and promote athletics in these townships, by bringing athletics to the communities. The route of the Township 2 Township Marathon traces the history of forced removals in the townships that the marathon passes through and thereby contributes to the preservation of the legacy of Umkhumbane; uniting all the communities on the marathon route through spectator involvement. The Township 2 Township Marathon is organised in partnership with athletics clubs in these townships and therefore provides commercial benefit to these host the athletic clubs; namely the KwaMashu, uMlazi and Spar Chesterville Athletics Clubs. In contributing to the development of athletics in these communities, the Township 2 Township Marathon will also leave a legacy in the community, through the establishment of a sports trust; to further contribute to the development of athletics in these previously disadvantaged areas. Durban is the sporting capital of South Africa and events such as the Township 2 Township Marathon reinforce that position and also advance athletics to be the sporting code of choice. In the first two years of the race, the Township 2 Township route covered a distance of 50km, making the race an ultra-marathon. Now in its third year, the race will still trace a route between KwaMashu and uMlazi via Umkhumbane, through three of KwaZulu Natal’s most well-known and oldest townships, as a standard marathon covering a distance of 42.2km. The Township 2 Township Marathon has gained prominence on the race calendar and as a qualifier for two of the most high profile marathons on the South African sporting calendar; the race continues to attract a high calibre of athletes. The township was formed by the apartheid state to house the mass resettlement of Africans that were living in Cato Manor during 1959–65. It is the largest of 3 townships in the area (Inanda and Ntuzuma are more rural with a lower population density). Until 1994, apartheid rules meant that it was illegal for white people to live in the township, or for blacks to live in the nearby city of Durban. uMlazi is a township on the east coast of KwaZulu-Natal, South Africa. The township is located south-west of Durban. According to legend, the name uMlazi comes from "umlaza" (Zulu for the sour acid produced from sour milk). It is believed that when King Shaka was passing through the area, he refused to drink from a local river claiming it had the taste of "umlaza", from that incident, the area has been called Umlazi. Chesterville is a town in eThekwini in the KwaZulu-Natal province of South Africa.Village between Cato Manor and Westville, some 13 km west of Durban. Named after T J Chester, a former manager of the Native Administration Department of Durban.